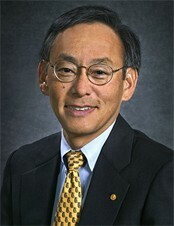 On Tuesday, 7 July, the US Secretary of Energy Steven Chu addressed the Senate's Committee on Environment and Public Works on the threat of climate change. To solve the challenges, Chu said, "the Administration and Congress need to work together to spur a revolution in clean energy technologies. To achieve our long-term goals in a more cost-effective way, we will need a sustained commitment to research and development." The Secretary ended his address with a quote from Dr. Martin Luther King: "We are now faced with the fact, my friends, that tomorrow is today. We are confronted with the fierce urgency of now. In this unfolding conundrum of life and history, there is such a thing as being too late."